Manchester United used to win. Most football fans in England might say horrible things about the club, but respect and admiration lingers behind the insults. At the moment however, the respect is waning. United have lost their winning mentality and it all boils down to their poor performances of late. Using summer signing Fred more often could help them to get their swagger back. The Brazilian international signed for Manchester United for £52m in the summer but has been struggling ever since to establish himself in the Premier League with the Red Devils. The 25-year-old has wobbled, failing to form any kind of partnership with World Cup winner Paul Pogba in the centre of the park, and has consequently seen little game time, with Jose Mourinho preferring to play Marouane Fellaini alongside Pogba and Nemanja Matic for the most part. Fred’s passing skills could help United striker Romelu Lukaku to hit the net more often. Fred isn’t just a pacey player, he is also the kind of player that gets the ball then moves it forward quickly and efficiently, exactly what has been lacking lately at Old Trafford. Naturally left-footed but able to use his right comfortably, perhaps his main attraction is his versatility and the ease at which he quickly plays the ball, rapidly switching from defence to attack. If Fred is allowed to start games at Old Trafford, he will give United the early boost of confidence in games which they richly need. 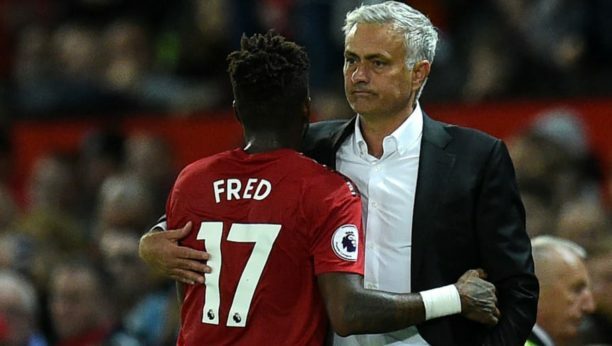 What Mourinho’s team needs at the moment is a player with the energy and dynamism to spring from box-to-box and Fred is the person to bring that to the table. His record speaks for itself, while he was at Shakhtar last season, Shakhtar defeated both Napoli and Manchester City in the group stage of the Champions League before they were bundled out of the European tournament by the eventual semi-finalists Roma in the round of 16 and Fred was arguably one of the best performers in the competition. He appeared for every minuteed of their Champions League campaign, hitting the net once and providing one assist but most impressively, completing 23/26 (88%) of his attempted dribbles. Manchester United seem to have a gem in their midst, one they seem reluctant to use but if Mourinho can see his way to start Fred more often, United could see themselves climbing up the table and closing the gap on their noisy neighbours.